Apple is mobilizing its legal team once again. Singapore Asahi Chemical & Solder Industries PTE Ltd. has filed a patent infringement suit in Ohio accusing Apple of infringing on its patent related to lead-free solder. The suit alleges that Apple used this solder in the process of manufacturing its last five iPhone models and other Apple devices as well. 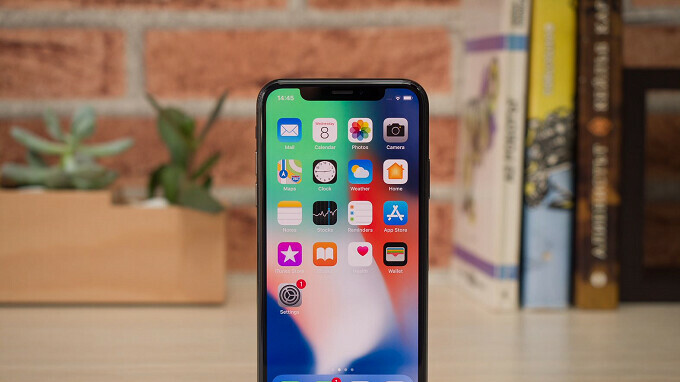 Specific models named in the suit include the Apple iPhone 7, iPhone 7 Plus, iPhone 8, iPhone 8 Plus and the iPhone X.
Asahi is requesting a jury trial and has not yet determined the amount of money it is seeking from Apple for damages. It is asking that any damage award be tripled, and the company wants the court to direct Apple to pay its legal fees. The patent that Asahi claims was infringed on was awarded to it back in 2001 and covers "solder alloys with improved physical and chemical properties that comprise effective amounts of tin, copper, silver, and bismuth." According to the court filing, the inventors came up with the lead-free solder because "traditional lead-tin solder alloys face[d] a limited future due to lead toxicity and the control or prohibition of the use of lead on a global landscape." The suit was filed in the U.S. District Court in Ohio because the company that the patent's inventors signed over their rights to, H-Technologies Group, Inc., is based in that state. In addition, Apple operates four retail Apple Stores in Ohio. You can find the court filing submitted by the plaintiff directly below. I imagine it's Apple that tells Foxconn what to use in their products and that would include the solder because it affects their products in the long term. This isn't like software where you can easily see if code is potentially being copied. In this case you have to suspect infringement and then do a visual and possibly ultimately a chemical analysis. K....apple are patent trolls. Actually it does feel good to say that lol. Apple, they cheat, lie, mislead and steal......what else is new? Did apple manufacture their own soldering material using the chemicals in the patent? I don't get it. Soldering materials are usually bought from distributors. If that was the case here, then the distributors should be sued for selling the soldering material to apple. It will be interesting to get more details about the lawsuit.